A great week for farmers on the grain markets. 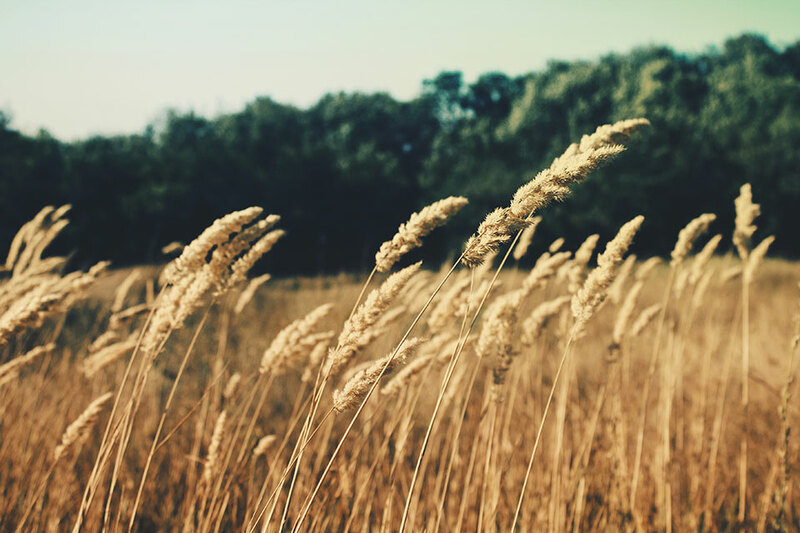 The speculators whom many like to chastise for being involved in the grain markets, in combination with worsening weather, have helped put a little fire under the wheat market. The futures markets have provided a welcome rally in the past week (figure 1) for grain growers. The market has largely been moved by poor weather conditions in the US & Europe. The speculators being very short in the market has led to ‘short covering’, which has magnified moves. So in future, when people complain about speculators in the market, remind them that it works both ways. 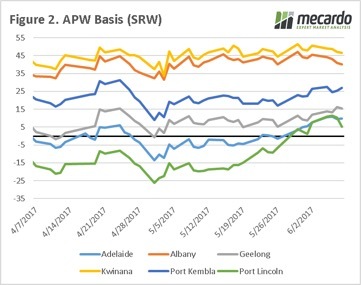 East coast basis levels have conserved their gains from last week, and continue to be in positive territory across all zones which we regularly monitor (figure 2). 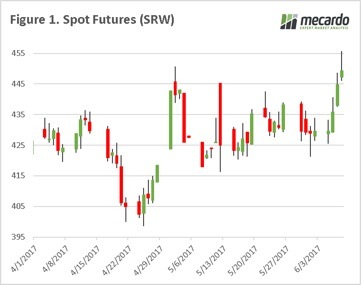 Although basis and futures have both risen, unfortunately for growers the A$ has also risen to 75.2¢ which has reduced some of the benefits but still overall positive for pricing. The Poms went back to the polls last night for the general election to decide on the government for the next 4/5 years. This will be the 7th major vote the UK has had since 2014, if they were spread evenly they would have went to the polls once every 159 days! The first exit polls have been released pointing towards a hung parliament, but we have to take them with a pinch of salt. 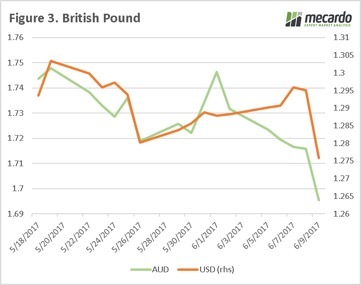 The result however of the exit poll, has been a fall in the pound (Figure 3), as a hung parliament will put the government in a weak position for Brexit talks. The USDA will release the June WASDE overnight. Will there be any surprises in this month’s report? We have seen issues in Europe, and it wouldn’t be a surprise to see some production downgrades. On Wednesday ABARES will release their quarterly Australian crop forecast. The dry experienced in WA/SA will result in lower yields for the coming season. This is traditionally a volatile time, and if positive reports emerge we can easily see much of these gains lost.